If I greet him with a passionate kiss at the door, and have the house picked up and dinner waiting warm on the table? If I sit on the floor and play Legos with them, or throw the football across the living room or listen to her talk and talk? If I have an hour with God first thing in the morning, or a time of intense study, marking key words, looking up the Greek and understanding the chapter’s context? If I spend an extended time of quiet listening, waiting for Your instructions,or pouring my heart out in prayer, until there is nothing left unsaid? Do I just want to do so that I am approved? Do I drive and strive in an effort to make the grade, to pass the course, to get attention, accolades and shiny gold stars? I flounder in my motivation and devotion. I leave others wanting by falling short of perfection. 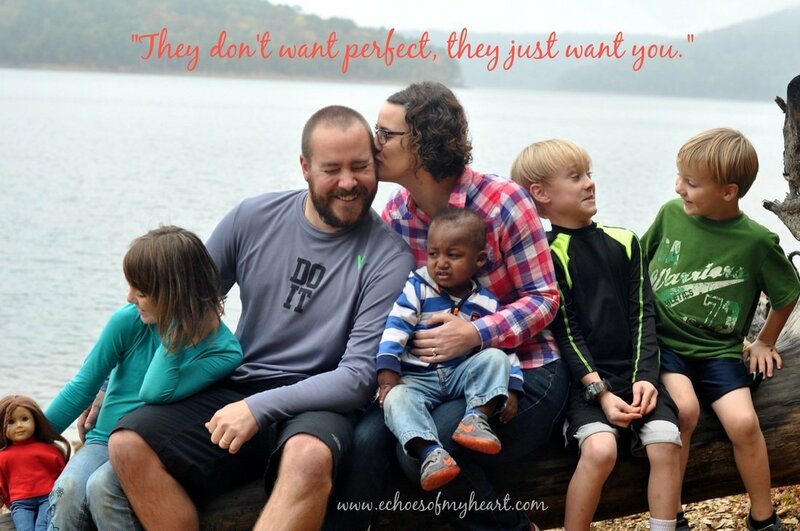 I struggle to believe that I do not have to be perfect, or even good enough. I wrestle with the truth, that in all my striving, in all my doing, in spite of all my creative and determined endeavors, it is not enough. It’s not enough to save me. Without Jesus, this is not enough. But, in Him, with Him, through Him, I can truly live and rest…rest secure in the “More than Enough”. He says, “Enough” to my soul- stamps it over my tired body, places His seal over my frayed self. He says that I am enough because He gave all by loving enough…so much more than enough. He is enough…all in all, sufficient, perfect, holy, the beginning and the end. Thank You Jesus for your patience with this try-hard girl. 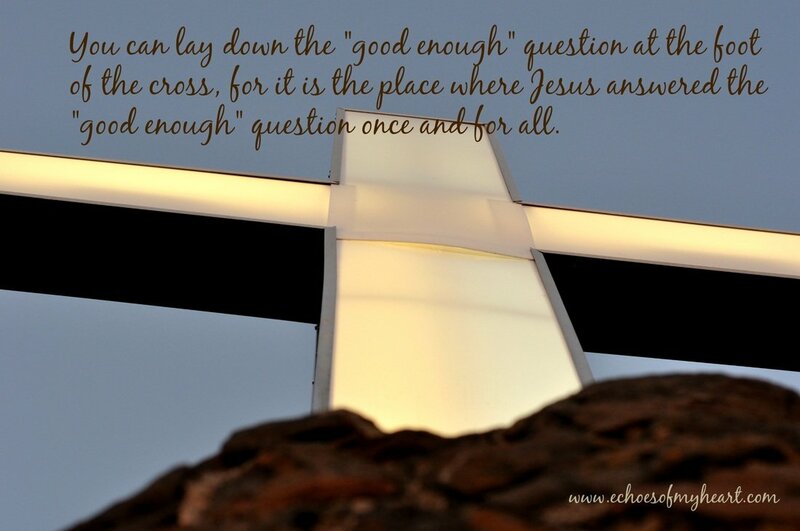 I can lay down this “good enough” question and relinquish its power over me because You answered this “good enough” question once and for all, on the cross. Thank You for reigning in love over me. Thank You that I can sit down on the inside because You have finished the work. Amen. Do you struggle with a “not good enough” mentality too? In what ways have you found victory in this area? Linking-up with Kristin and Holley today for their lovely link-ups. Join us for encouragement and fresh insight. Oh sweet friend, you are speaking to my own heart and soul with this post. Beautiful! Beautiful! Hi, Katie. It’s like you peeked into my head and heart and wrote what I needed to hear. So grateful for the truth here. As a recovering perfectionist myself, these are the kind of reminders I need. Thanks for linking up at my place today. I’m so glad to have your words there! Oh how He IS enough which makes us enough. A reminder we (as in I) need daily! Hey friend! I thought I’d bop on over tonight to say hello. So glad I did to read this lovely post! You always seem to speak my language. Thank you for this good enough perspective! I appreciate you. God bless you!